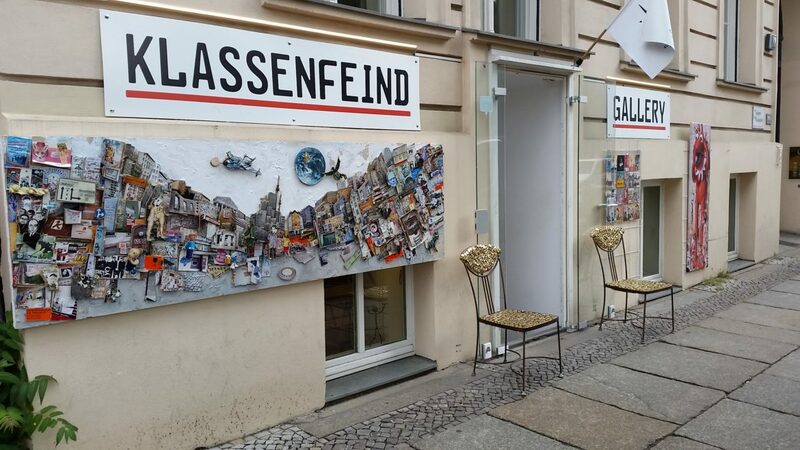 Berlin Affordable Art’s flagship gallery, Klassenfeind Gallery, was located in the Mitte district of Berlin, just a few minutes walk from Kunsthaus Tacheles. Visitors were best advised to use the nearby S-Bahn stations of Oranienburger Straße or Hackescher Markt or the U-Bahn station Oranienburger Tor. Arriving by Tram was also easy; simply using the M1 or M5 line, hoping off at Monbijoupark station.